What are the aims of the ACORN project? Provide a solid platform for future applications for external funding (including NHMRC/ARC). What type of research questions can ACORN address? One of the key strengths of the ACORN project is its inclusive and accommodating design. At the heart of the ACORN project is an ability to facilitate many collaborations between and across researchers and practitioners as well as the employment of a wide range of research approaches and methods to answer a diverse range of related yet distinct research questions. 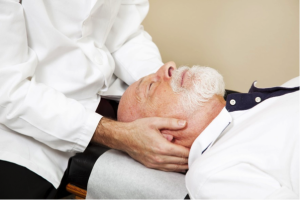 How cost-efficient is chiropractic? How much do patients spend on their chiropractic care (alongside other health care)? 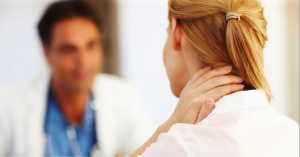 And to what extent is affordability a factor in patient decision-making regarding chiropractic? What is the design of the ACORN project? Stage Two: Practitioner database recruitment and distribution of questionnaire and establishment of the Expression of Interest (EOI) process for sub-studies. Stage Three: Approval, delivery and publication of sub-studies, maintenance of practitioner database and preparation for external research grant funding. More details regarding the design and stages of the ACORN project will be available here shortly. What is a practice-based research network (PBRN)? Where can I learn more about Practice-Based Research Networks (PBRNs)? PBRNs have been employed to help build an evidence-base in a number of health care fields around the world. Here we provide links to a couple of papers which will help explain this approach to research design. Why is ACORN adopting a PBRN design and can this design include efficacy and safety research? Why is ACORN so important? As a PBRN project, ACORN contributes some very important benefits to the future of chiropractic in Australia. ACORN will facilitate a broad, coordinated program of research activity which not only addresses many research questions but also builds research capacity in chiropractic. ACORN will enable clinicians to directly and personally contribute to the creation of new knowledge and the advancement of clinical insights. It will also make it easier for researchers to conduct investigations by utilising the ACORN infrastructure and established database and network. Most importantly, findings from ACORN will also help improve the quality of care provided to patients. How can chiropractors participate in the ACORN project? The participation of practising chiropractors is essential to the delivery and success of the ACORN project. All practising chiropractors across Australia will be invited to participate in the ACORN practitioner survey and to join the ACORN practitioner database. An ACORN invitation pack comprising information sheet, questionnaire and database consent form will be sent (via email and post) to all practising chiropractors across Australia in early 2015. Completion and submission of the questionnaire and consent form can be via either email or mail (prepaid addressed envelope will be provided). The invitation to participate will remain open for a number of weeks and reminders to participate will be administered over this period. What are the benefits for chiropractors who participate in the ACORN project? What will happen to the data collected by the ACORN practitioner questionnaire? Upon receipt of returned completed questionnaires, all data will be entered into a secure password protected computer file. All information will be analysed and reported in a de-identified manner. Subsequent publications presenting data from the practitioner questionnaire will communicate group data and no individual chiropractor will be identifiable from the publications arising from the project. What will happen if I choose to become part of the ACORN practitioner database? How will the details of those included in the ACORN practitioner database be protected? All personal information contained on the practitioner database will be securely password stored and kept strictly confidential to the ACORN Chief Investigators in line with ethics approval granted by the UTS Human Ethics Committee. How else can chiropractors support and help the ACORN project? In addition to completing and returning the ACORN practitioner questionnaire and consenting to join the ACORN practitioner database, chiropractors can also help ACORN by simply spreading the word about the project and its benefits to others who may be eligible to participate within their immediate practice and wider networks. Please do feel free to pass on a link to this website to others who may be interested, to encourage colleagues to explore the details of ACORN and consider being participants in the project, and to suggest these colleagues do the same within their own networks. What if I require further clarification or information about ACORN and my possible participation? If you still have questions or would like to discuss the ACORN project in more detail please email Distinguished Professor Jon Adams (jon.adams@uts.edu.au). We will endeavour to respond to your enquiry as soon as possible. More information is in the ACORN Information Sheet (PDF, 152kB). What are the opportunities for researchers to utilise the ACORN project? There is an important and essential opportunity for all interested researchers (beyond the ACORN-ARCCIM UTS team) to participate and draw upon the ACORN project. ACORN is at its heart an inclusive and collaborative initiative and there are excellent opportunities and benefits for those interested in conducting rigorous chiropractic research to engage with and utilise the project. The invitation to collaborate and utilise the ACORN project is open to early-career and senior researchers, clinicians who may wish to partner in research activity as well as PhD students and potential PhD candidates looking to examine a specific area of chiropractic. What are the benefits for researchers utilising the ACORN project? Gain additional expert advice and input from the ACORN Chief Investigators (as required and/or requested). How do researchers utilise the ACORN project? A core feature of the ACORN programme is to facilitate and promote ‘sub-studies’ initiated and led by researchers external to the ACORN project team. External research teams can recruit sub-groups of practitioners within the ACORN network (and/or their patients) that are most suitable to addressing the specific focus and research question(s) of interest. The ACORN project facilitates sub-studies which can utilise both quantitative and qualitative methods as well as observational and experimental approaches to research. An Expression of Interest (EOI) process has been designed to help manage sub-study proposals. EOI submissions are encouraged from clinicians, researchers, potential funders and others. Both national and international investigators are welcomed. EOI submissions will be subject to scientific review by the ACORN Project Steering Committee to ensure quality, rigour, fit and other important criteria. ACORN is also focused upon research capacity building. Masters and PhD students and/or supervisors of such students (where applicable) are also very much welcomed and are strongly encouraged to contact the ACORN Project Chief Investigators (either Distinguished Prof Jon Adams or Prof David Sibbritt) if they wish to enquire re: drawing upon the ACORN national practitioner database for recruitment purposes. The student does NOT have to enrol at University of Technology Sydney and may be enrolled at another university. Potential Masters and PhD students who wish to enrol at University of Technology Sydney as part of the ACORN study may contact either Distinguished Prof Jon Adams or Prof David Sibbritt for further information.